Much cake eaten last week! 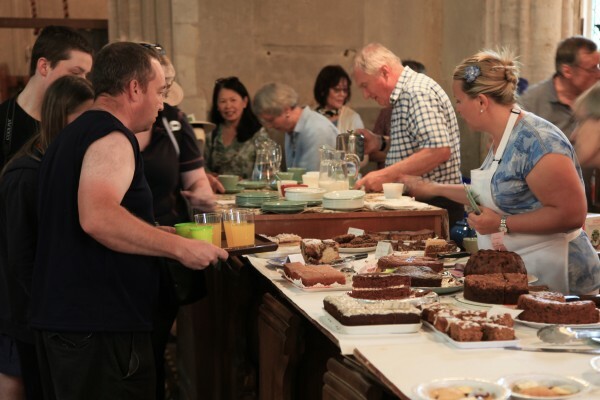 The congregation sold teas from the church as part of the Open Gardens afternoon at Madingley Hall on Sunday 4th June. £651.10 was raised for the West End Development Appeal from the sale of teas and plants at the church in addition to money raised for the National Gardens Scheme through ticket sales and plant stalls at the Hall. A HUGE thank you to everyone who helped and attended this event. It was a glorious afternoon and having enjoyed the beautiful gardens, visitors were treated to a huge selection of home-made cakes and scones.